If you don’t have anything nice to say, you probably spent May 21 witnessing the reveal of the Xbox One. Although the improved navigation speed and sleeker presentation of the Xbox UI was on full display at the start of the show, the hour-long broadcast did little to spur those looking to purchase a true, next-generation gaming system. The Xbox One may have the high-profile partners and third-party support at its back, but the messages being conveyed via Spike TV, as well as the statements disclosed after the event, were puzzling. Currently, we’ve been told that the next Xbox is not an always-online device but somehow requires internet, and can maybe play used games if you click your heals and gargle salt water right after signing in to your profile. It’s been a PR disaster, and while all the bad press may not help either Microsoft or the consumer, it could be a gift for Sony. The PlayStation 4 had plenty of good will after its long-winded unveiling, and the Twitter polls taken after Microsoft’s event show that the general public is leaning heavily toward Sony early on. For the first time in a long time, Sony has the opportunity to take back the throne that the Xbox 360 captured years ago, and really, it should only take a few key moves to prove that the PS4 is the box that everyone will want to own this holiday season. I’m not too keen on either company employing whatever dirty tactics they see fit to come out on top in the minds of the consumers. Mudslinging and venomous ads rarely paint a positive picture for the assailant. However, Sony should take advantage of the current stink around the Xbox One and hit Microsoft right where it hurts. That means it’s time to be clear on the used-game policy of the PS4, push the fact that there isn’t an always-online requirement excluding the crowd without a solid connection and remind the world that the PlayStation Network is still a free, feature-rich service. Do we have a clear picture of all the nuances driving the latest Xbox? No, but Microsoft’s ever-conflicting messaging has left the door wide open for the PlayStation 4 to look like the best, and possibly even the only, choice for core gamers. And while Microsoft still has plenty of time to turn this whole thing around, I’d argue that the Xbox-maker has two strikes weighing it down just a week after the big announcement. The first one actually occurred while we were still calling the thing the “Xbox 720” and “Xbox Infinity.” The deluge of rumors concerning the console’s subsidized nature, greater focus on non-gaming services and online obligations had many people doubting the technology’s practicality before a single murmur was even confirmed. And Microsoft failed to make a single attempt to deny any of the allegations. The second strike was gained when Microsoft’s own representatives not only failed to put these concerns at ease, but also managed to frustrate the masses even further with an absolutely bizarre used-game strategy. We currently don’t even know if the thing will play pre-owned products without a fee, and that sort of fan bewilderment is something Sony can use to its advantage. But it seems that those interested in delving into a new console cycle don’t even know if there will be games, new or used, to buy on the Xbox One. We keep hearing “you’ll see more at E3!” from the Microsoft core, which makes sense. Next month’s show should be a software showcase with enough information to chew on for many months to come. Yet, the lull that the general public will experience over the next few weeks will only give that May 21 presentation more time to fester. Other than the few third-party titles that will be arriving on every piece of hardware under the sun, the list of games that we know will be launching on Xbox One is short. We saw a simple teaser of Remedy’s next game, and while Forza 5 is a graphical wonder, racing games just aren’t universally appealing. The message right now paints this new product as an entertainment device first and a gaming system second, and Sony’s extended PS4 unveiling seemingly told the opposite tale. We know about InFamous: Second Son. We’re interested in Killzone: Shadow Fall. And man, Knack looks adorable. There are big, first-party products scurrying across the Sony radar, while everything relating to Microsoft seems to be linked to confusion and ill will. The Xbox One has had a poor start. Almost every forum post related to the May 21 reveal is coated in vitriol, and those feelings will persist if Microsoft continues to implement its amateurish PR campaign. 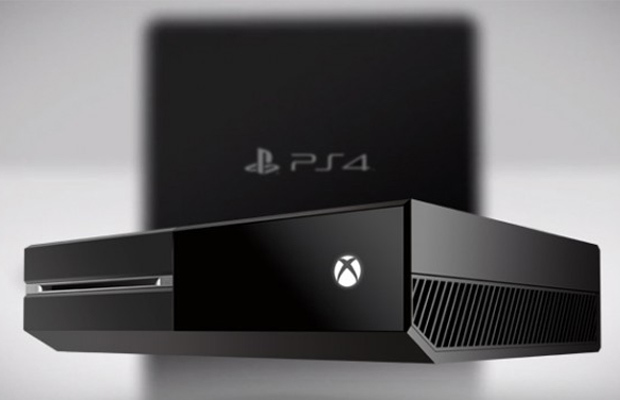 Right now, Sony has been handed a golden opportunity to strike while Microsoft is floundering. Used games, first-party titles, always-online hardware – Sony has enough ammo for a sizeable army, and even if it doesn’t want to spew hateful messaging at Microsoft, it can still just remind the masses of how user-friendly the PS4 at least appears to be. The PlayStation brand has been behind in North America since 2006. If Sony hopes to gain an early lead in 2013, Microsoft has already put a big, green X right on its back.